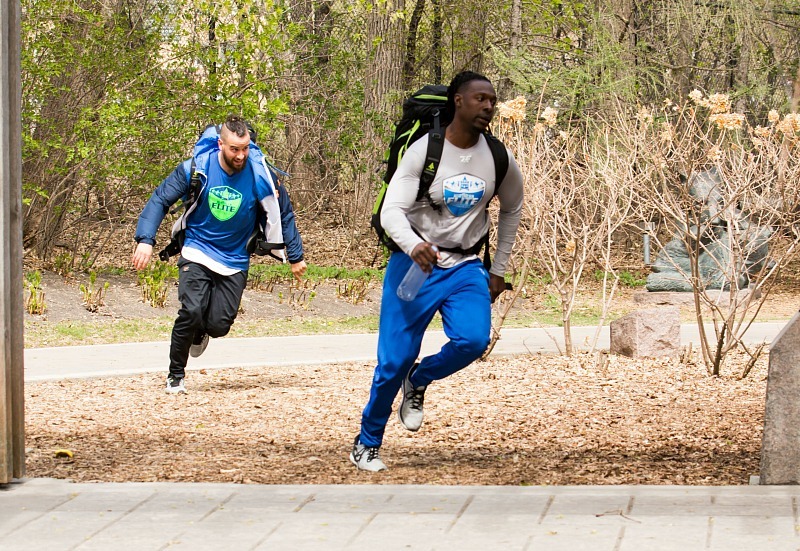 Amazing Race Canada: Balloons, balls and ballet in Winnipeg | TV, eh? So many dance tasks this year, I’ve seen speculation that it’ll e the theme of the final memory task of the Race at the finale. Darts make for dull TV and I’ve never been a fan of the Face Off essentially deciding whose going to finish last halfway through the episode but at least they made it slightly hard with the all sides bit. 6 teams and 4 legs after this one. Pretty obvious it was going to be a non-elimination episode since the last episode always needs 3. A good memory-matching opener task. Dylan and Martina were hilarious at the magic Roadblock as was the judge watching them. And the kid in the audience that was unimpressed. It feels like the parking ticket was $0 just because they were on the Race. Is there even a penalty for that? I remember Sukhi and Jinder lost 15 minutes due to running a red light. With the amount of focus, Martina and Phil are probably in the finale, stranger things have happened then them possibly winning but they haven’t gotten 1st place yet in any leg. Sinorama went out of business. I hope that doesn’t mean more budget cuts in future seasons. Yes, interesting that they have had so many dance tasks this year! Amazing how well some of the male competitors have done even though they express an inability to succeed. I enjoyed the watching the magic and balloon making and was surprised at how well they did. They were really able to get into it and seemed to have fun!